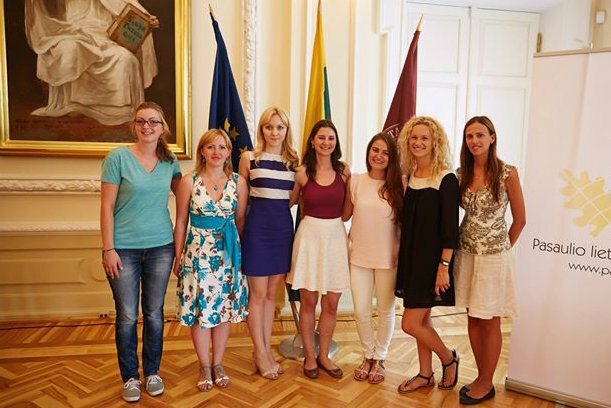 More and more young people from all over the world choose Vytautas Magnus University (VMU) as their place to accumulate knowledge. Lately, increasing numbers of Brazilians come from their native warm country to the contrastive Lithuania and find it a great, welcoming and inspiring study destination. Both this and last year, VMU representatives participated in the higher education fair in São Paulo and informed Brazilian students about great opportunities to discover Lithuania and study at VMU – university of liberal arts and spirit. Take a minute and read about Lithuanian-origin Brazilian citizen Thammy Padlipskas’ experiences as a VMU student. Thammy thinks that international experiences have immeasurable value, regardless if they are related to studies or not. She always wanted to experience new cultures, meet many people. As for the benefits of studies, everyone is able to gain new perspectives and abilities they would never achieve by staying at home. 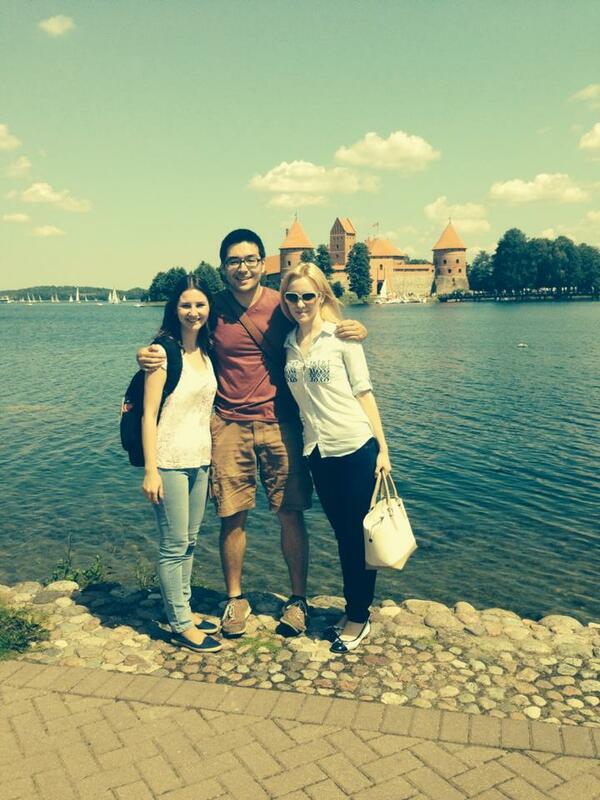 Coming to Lithuania was always Thammy’s dream, but she never imagined she could come here as a student. “I was very surprised and happy when I found out that Lithuanian universities were coming to my city to participate in a higher education fair. There I met a representative from the International Office, who gave me all the information about VMU and its programmes”, Thammy says. 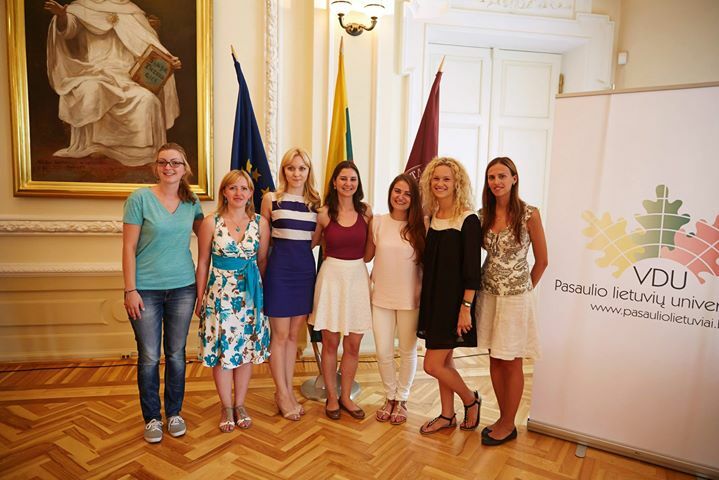 She chose the Summer Internship Programme (SIP) and interned at a company in Kaunas, and finally in September of last year she has started Master degree study programme Diplomacy and International Relations in the Faculty of Political Science and Diplomacy at VMU. “Living in Lithuania, I am able to regain contact with my great-grandparents’ culture, which is something I always wanted. Living abroad in a country where you do not find many Brazilians, not even at the university, helps you become more flexible and give more value to your own culture and to what you learn from others”, Thammy smiles. “I was born and raised in São Paulo, a very big city. Now I am able to have more contact with nature, to enjoy a quieter atmosphere… And we are close to many interesting sites – culturally and historically”. The student notes that usually Brazilian universities do not have courses in foreign languages, which is why not many international students come to study there. Thammy points out the benefit of studying in English at VMU and meeting professors and students of many nationalities: Europeans, Africans, Asians, Latin Americans etc. According to Thammy, this is a really diverse and useful experience in many ways. Thammy’s bachelor degree was in Public Relations, but after completing it and working in the field, she saw it was not exactly what she wanted to do, so she decided to look for a graduate programme in a different field. She said that discovering VMU and choosing the Master degree study programme Diplomacy and International Relations was the best choice for her career prospects. Thammy is also thankful for the scholarship possibilities provided to students by the Lithuanian Ministry of Education and Science, as it helps her achieve her life goals. “I do not have concrete plans yet, but I would love to work for the International Olympic Committee or an international non-governmental organization. Further studies in Lithuania are also an option”, she contemplates. Asked about the benefits in terms of education she is getting and the added values of studying at VMU, Thammy notes that half of her group is international students. Therefore, she has access to countless perspectives and cultural exchanges. Studying in English, which is not her mother language, is also very challenging and will certainly contribute to the girl’s future. Thammy says that she has only the basic knowledge of the Lithuanian language, so the student experienced some funny moments trying to make herself be understood. But the Brazilian assures that she never had any real problem with it: usually she talks in English with her friends and they help each other with the Lithuanian. “Usually Brazilians are more outgoing and make friends quickly. I guess it is because our country has a bigger population and therefore you are always meeting new people from all kinds of backgrounds”, Thammy notes. Giving her advice to students who consider visiting Lithuania and studying at VMU, Thammy offered a few warm words of encouragement. 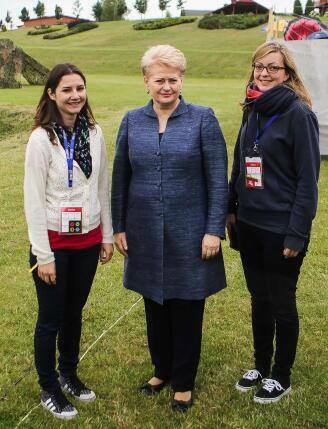 “If you have the opportunity to come to Lithuania, do it! VMU offers an international environment that many other universities do not, which will help you not only in your professional career, but in your personal life. Even if being away from your country and family might sound like a very hard task, but you will certainly not regret it”.